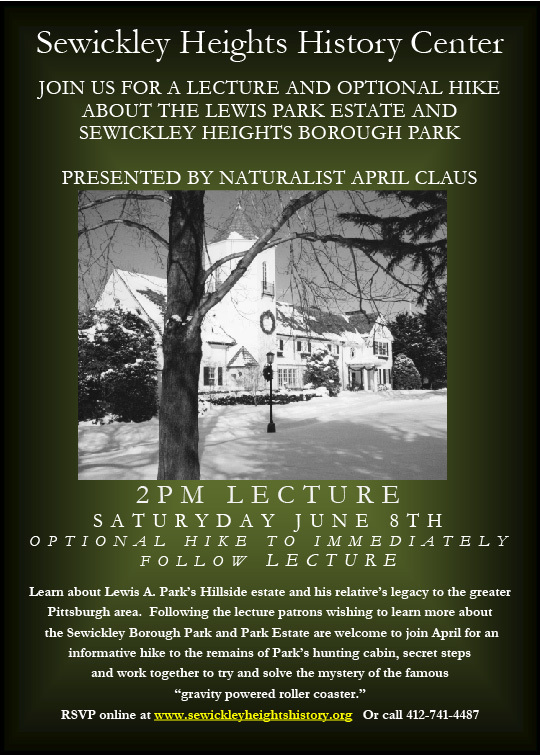 The Sewickley Heights History Center strives to preserve the history and natural beauty of Sewickley Heights, while maintaining its historical integrity. Located on one of the original farms, the Museum is surrounded by rolling acreage, nature trails, and scenic views. 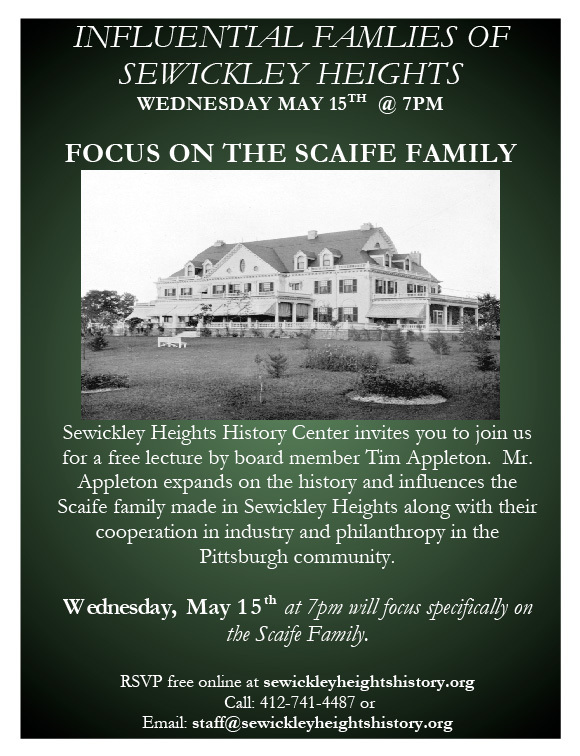 A unique collection of film, photos, and vintage attire, combined with antique cars and carriages, honors the lifestyle of Pittsburgh’s early Industrialists. Providing educational programs and family based activities that are accessible to the community throughout the year, the admission-free Museum also hosts special events and lectures. Watch for news about our ever popular annual Riding and Driving Party.